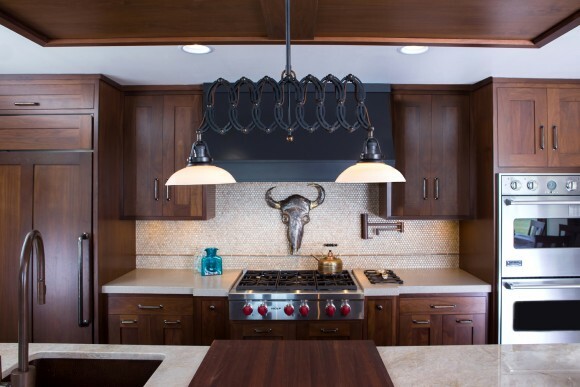 “Bread, Wine and Love” fills this Countryside Transitional Kitchen with a Southwestern Flair. 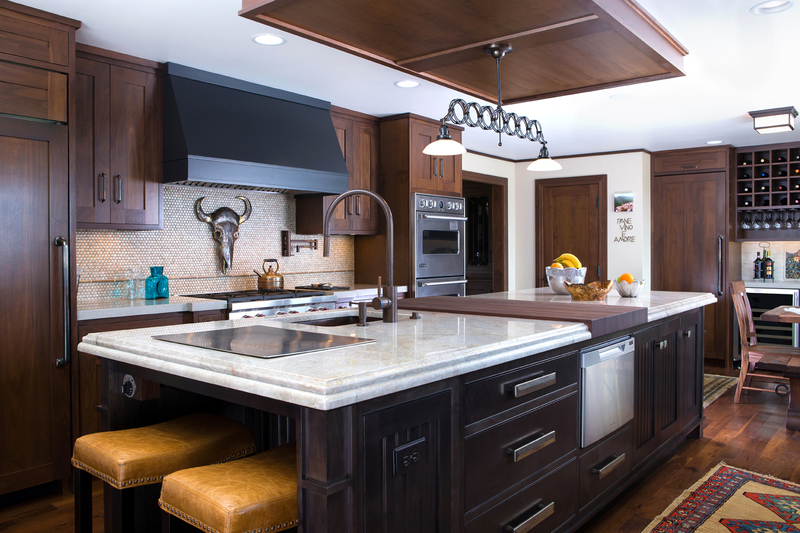 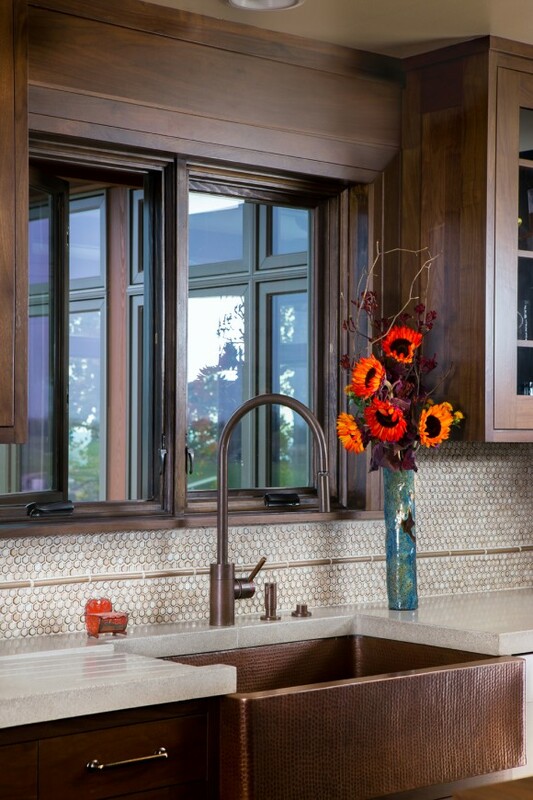 The massive Maple island with it’s stylish and functional Quartzite Top with inlaid Walnut Butcher Block is sure to be a favorite gathering place for friends and family. 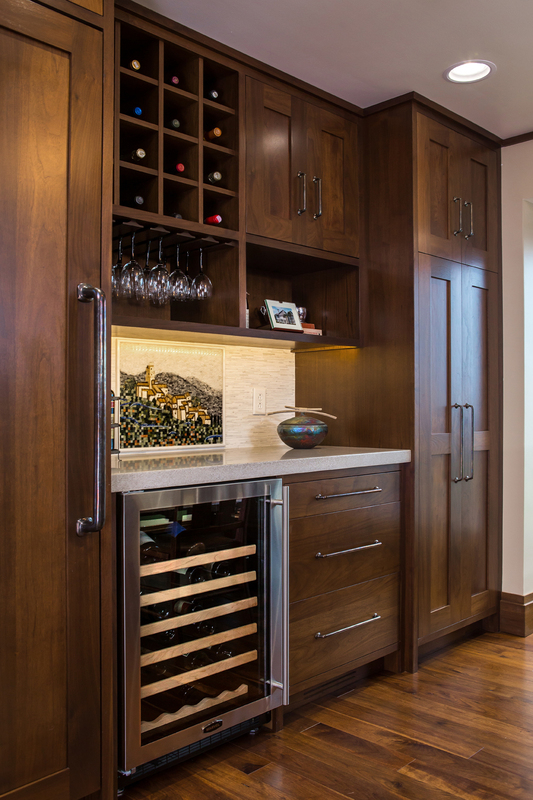 Walnut cabinets and Concrete counter tops, with a built-in wine and beverage cooler set the stage for fun.